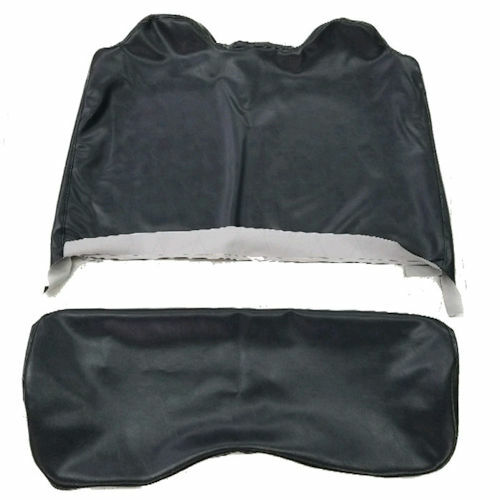 GEM VINYL CAR SEAT COVERS FITS 1999-2004 ONLY. 2 PASSENGER AND UTILITY MODELS. These are upholstery replacement sets, not slip-over covers. Easy to clean and easy to install. Makes seats much more comfortable in hot climates. Comes in Charcoal Grey, Green/White, Blue/White, Red/White and Yellow/Alabaster. Please specify what type of seat you have. The GEM cars pre-2002 have a low back seat while 2002 and newer have a high-back seat.